Just wanted to say that I absolutely love your blog. 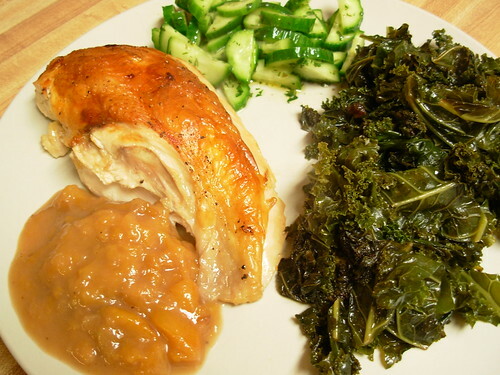 Your meals look so healthy and delicious, and they are so inspiring! I just pulled up your avocado pudding recipe to make for my family...my two young children and I are Paleo, local and organic (my husband is another story! :) ). This is a lot of work, but it is surely worth it. Lest readers of my dear wife's blog think I am some bacon cinder-eating barbarian, I thought I would clarify that the bacon was, in fact, slightly overcooked and darker than one would expect to be edible. But they were, much to my surprise, quite edible. So much so that I ate the whole darn bunch! But I assure you, dear readers, that the bacon cinders were more bacon than cinder, despite appearances. Funny the bacon burned. Mine did too. And I ate it, which makes me a cinder-eating barbarian, too. But not totally - mine was crunchy and edible, too! Elizabeth, Your meal looks so yummy! 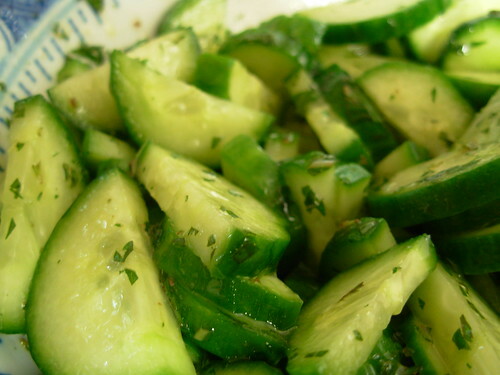 Persian cucumbers are my favorite too. They are so dainty and crispy. Great idea to salvage your dinner! :) I'm planning on doing a bacon wrapped chicken within the next few weeks. Wow, this looks awesome despite having to cob it together. When you're good, you're good. I've got to try it sometime. Anne: Maybe we should start a burned bacon support group! Yummy Gatherer: Yes, those cucumbers are the best! NoVA peaches are already coming in?? I will have to keep a sign out for the orchard signs. I wasn't expecting those until well into July, what with the cold spring we had.